TRAINING PROGRAM ON ENERGY MANAGEMENT AT 2:30 PM ON 30.9.16 AT VIA 2ND FLOOR CONFERENCE HALL Saving of Energy is saving of money and a useful contribution for improvement of Environment. 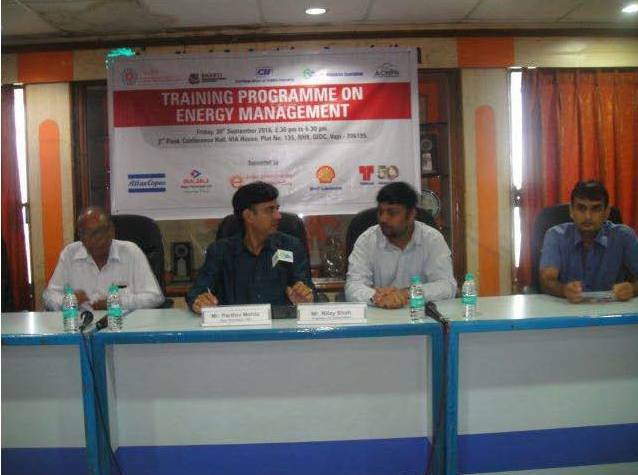 Considering the importance of optimizing the use of energy and using alternative energy at Industries, VIA has organized a Training Program on Energy Management jointly with CII and GEDA to increase the efficiency of the Industries Members to optimize the use of Energy at their units. 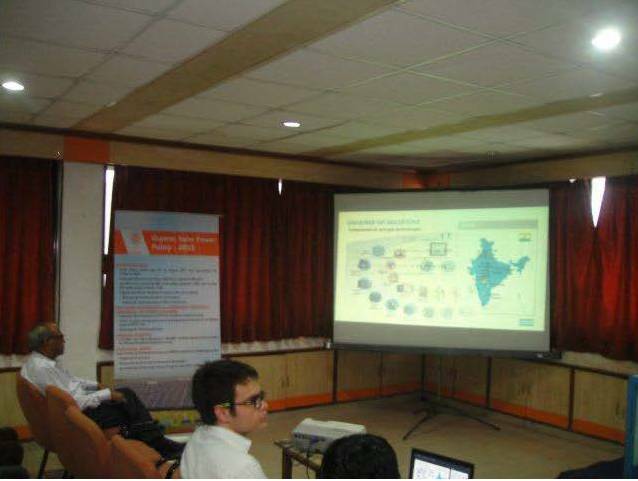 Mr. Nilay Shah, Engineer, CII gave presentation to the participants on the Policy for installing Roof Top Solar Energy unit after that eminent speakers from Atlas Copco, Bajaj Electrical, Thermax India, Shell Lubricant and E-View Global gave presentation on Energy Efficient Machines & Techniques and Alternative Energy systems. 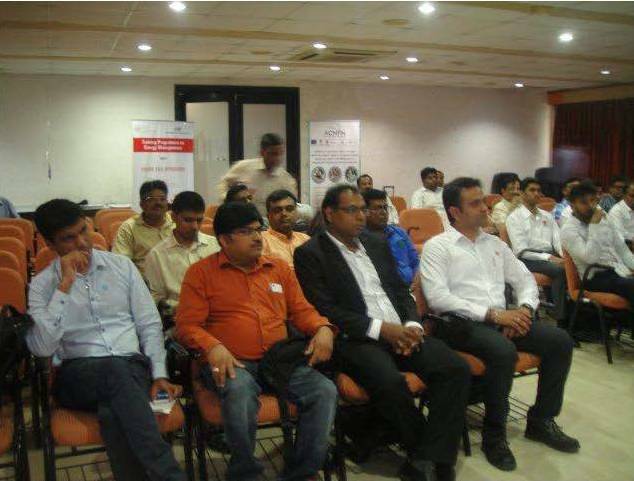 The Training Program was attended by Shri Parthiv Mehta, Hon. Secretary, VIA, Shri Bhavin Shah, Jt. Chairman, Seminar Committee of VIA and many other Executive Committee Members and Members of VIA.